Fear not, those who know not thing one about Warcraft, the immersive, time-sucking 22-year old video game franchise upon which this fruity, oversized mega-dose of highly derivative fantasy fun is based. Wisely, director Duncan Jones (son of the late David Bowie), who co-wrote this popcorn seller with Charles Leavitt (In the Heart of the Sea; Blood Diamond) sets up the grand war saga from scratch. The Orcs, a race of giant, Hulk-like warriors with big ears and bad teeth – including huge fangs jutting up from their jaws – face a dying world. Fortunately, all they need do is step through an inter-dimensional time portal – a device that has quickly become one of the sturdy cliches of 21st century fantasy films – and they’re in this lovely, green, serene piece of real estate called Earth. All they need to do is take it from the pesky humans who live there. Enter a nice dab of moral complexity as one of the nicer Orcs, Durotan (Toby Kebbell, motion-captured here as he was in Dawn of the Planet of the Apes), begins questioning their evil leader who prefers wholesale destruction and carnage rather than the prospects for peace and co-existence. The film can hardly make any serious claims to originality. Almost every structure and critter in Warcraft looks like it was borrowed from another movie; the film brims with references – intentional or not – to The Lord of the Rings, Clash of the Titans, Percy Jackson, Harry Potter, Star Wars, Star Trek and even Stargate, if you’re going to count that inter-dimensional time portal. There’s even something akin to The Force going on. But who cares? Members of the devoted Fanboy community might know the backstory to every tiny Warcraft reference – and they’re out there, folks, complete with impressive scratch-built costumes – but this really is a put-your-feet-up-and-enjoy fantasy adventure. And here’s a fun game to play while watching Warcraft; figure out what would be the best job to have in these sorts of highly designed fantasy movie worlds. But the best would be a dentist. Talk about a world in need of a decent dental plan. It’s remarkable how these characters can build and destroy civilisations, yet can’t find a few minutes to floss. One more time: Marlin and Dory reunite for the unremarkable sequel Finding Dory. Kids around six and eight will likely love the offerings here but adults might find their patience tested by this brilliantly rendered but rather wet serving of Disney franchise extender. 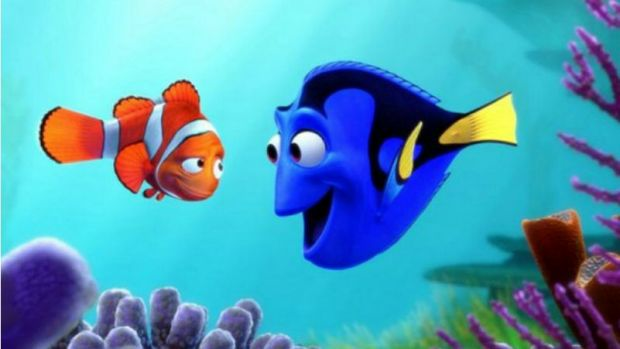 This time around the focus is Dory – the addle-brained blue fish who helped Marlin find Nemo in the first film – who is seized by the urge to locate her long-lost parents. Apart from Toy Story, hit factory Pixar has proved itself as susceptible as anybody else to the perils of sequelitis with mediocre films such as Cars 2 and Monsters University, wherein a lack of ideas and real inspiration results in a halting, stop-start pace and strained plausibility. Still, looks can compensate. Even the most uptight, cardigan-wearing curmudgeon will love the beauty of the thing, even if the enterprise falls well short of the 2003 neo-classic. Fun fact: Director Andrew Stanton, who did the original (Dory was co-directed by Angus MacLane), was initially reluctant to sequel the film. However, once Disney took over Pixar the pressure was on and he admits he relented, provided the story was up to scratch and that they didn’t have to work to a strict deadline. So, in a real sense, Finding Dory is as perfect an example of corporate filmmaking as you’ll find outside a superhero or space fantasy franchise. Even if its main character is as cute as a button. You shouldn’t have: Emilia Clarke and Sam Claflin in the controversial weepie Me Before You. Here’s another prime example of a film you’ve already seen even before you’ve seen it. A handsome, wealthy young man is rendered a quadriplegic by a sporting accident, a pretty young girl comes to care for him, they overcome some initial friction and you can pretty well join the romantic tearjerker dots from there. As is always the case – and as repeatedly demonstrated by the success of all those Nicholas Sparks movies – it matters not whether something is predictable, emotional mush; all that anyone cares about it how well and how sincerely said mush is delivered. Despite its seemingly innocent sweet-hearted nature though, the film, based on the 2012 bestseller by Jojo Moyes, has drawn controversy over its supposed message that disabled people are less worthy than everyone else. It’s rubbish, as the complaints argue relies on the ridiculous premise that fictional characters in movies are automatic ambasssadors who represent entire communities. So don’t be put off. A very fine cast lead by Benicio del Toro and Tim Robbins (in his best movie performance in 10 years) guns this oddball, fablesque comedy-drama about bureaucracy and international aid. The deceptively simple matter of removing a bloated corpse from a village well sets a group of aid workers in the war-ravaged Balkans of the mid-1990s on a road trip of sorts as they confront atrocities, unauthorised checkpoints and the mind-numbing red tape of the United Nations , which obviously did not co-operate in the making of the film. Extraordinarily entertaining, superbly mounted follow-on from the 2014 film, set mostly in daylight (thank God), in which the street-wise, wise-cracking, super-powered giant turtles Donatello, Raphael, Leonardo and Michelangelo do battle against a mad scientist played by Tyler Perry (a huge comedy star in America) and a plot to expose earth to another dimension. Never mind the typically overripe plot – these films can easily do without all that narrative layering – the film concentrates on big action sequences and maintaining a fun tone. There’s a neat mix of practical stuntwork with visual effects, and the motion capture technology that brings the turtles to such vivid life is truly impressive. Directed with verve by Dave Green (Earth to Echo). Check out our interview with producer Brad Fuller. Those hungry for an old-school spooking will love the latest frightfest from gun Aussie director James Wan (Saw; Insidious; Furious 7) as real-life American ghosthunters Ed and Lorraine Warren (Patrick Wilson; Vera Farmiga) hop over the pond to investigate the ‘famous’ haunting of a cramped council house in the scungy British burb of Enfield. Set in 1977, the borderline poverty of the family (headed convincingly by frumped-up Australian actress Frances O’Connor) helps build the dank atmosphere as Wan’s camera creeps around corners and looks down from above. Set aside the self-serious ‘true story’ claims – it really should say ‘based on stories that are allegedly true’ – and just let the very well-directed silliness wash over you. Also, take special note how this legendary haunting took place in a most remarkable street with the world’s most patient neighbours. For despite all the screaming and furniture-crunching poltergeist activity, nobody ever calls the cops or pops around with a noise complaint. The important issue of refugees and off-shore detention centres gets half the treatment it deserves in this well-meaning, woefully one-sided slice of activist doco-making from director Eva Orner. Adopting the ‘let them in/close the camps’ stance, the film has some unsettling secret footage and testimonials about the centres, but gives way too little screen time to the other side of such a divisive argument. The film is so one-sided you half-expect the screen to capsize. Though a swag of politicians refused to take part in the film – they’re listed right at the end; why not at the beginning? – Australia’s mainstream media is brimming with commentators who would no doubt have been happy to have offered a counter view. To illustrate, we contacted Herald Sun columnist Andrew Bolt and asked if he would have done an interview for the film, and whether he was approached. His answers, respectively, were yes and no.